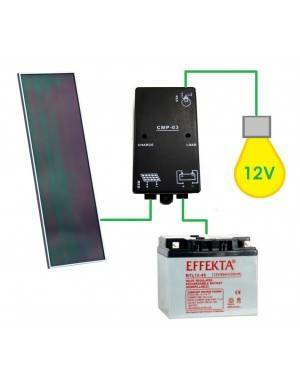 - One Photovoltaic Solar Panel LDK or Jinko 180Wp 24V GM. - A Steca 8A regulator. - Two 12V batteries 80Ah monoblock Power. - A sine wave inverter Stude AJ 600, 500W 24-230V. 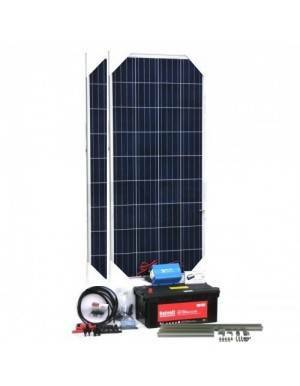 This kit is designed to feed 230V loads, lighting, TV and small appliances up to 500W, in facilities off grid. 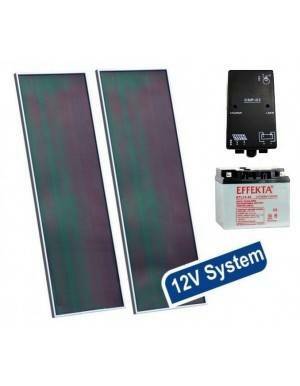 With the following kit can be ensured an average consumption of 5 hours of illumination 10W 6 points and 4 hours flat screen TV, every day of the year, even in winter, in Spain . 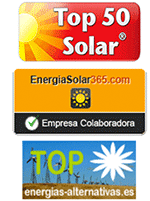 Multiplying the load available by 3 in summer and in more favorable areas of Spain.